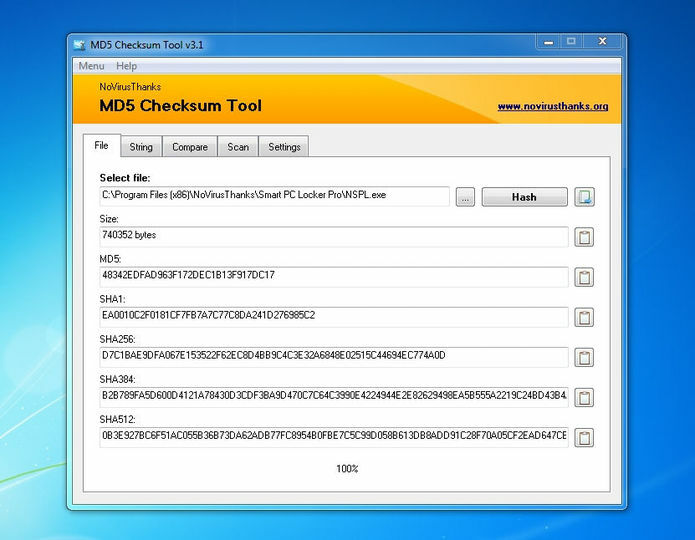 NoVirusThanks MD5 Checksum Tool is a tool that can be used to generate checksum of files (MD5/SHA hash) and verify files. Hashes supported are: MD5, SHA1, SHA256, SHA384 and SHA512. You can use tools like this to make sure that files are not damaged or maliciously modified when transferred. This is a very useful tool and it is available from NoVirusThanks free of charge.